From First Year Experience programs and Financial Aid, to Student Activities and Greek organizations, Student Affairs impacts students each and every day. Our 5-chapter Foundations in Personal Finance curriculum is designed with flexibility in mind so you can maximize the time you have face-to-face with your students. Our curriculum also equips them to study on their own and build a solid foundation of personal financial literacy. Foundations in Personal Finance can be taught in a series of workshops, offered online as a self-study, or a combination of the two. It meets Student Affairs programming requirements, and no training is needed to facilitate the course. Student leaders can easily step up and help walk their peers through the curriculum. 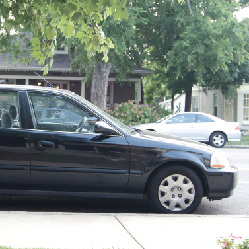 Comprehensive and turn-key—we've done the planning for you! Videos are delivered in multiple formats. Available in textbook or eText format. Activities, discussion questions, test bank, case studies, and more. 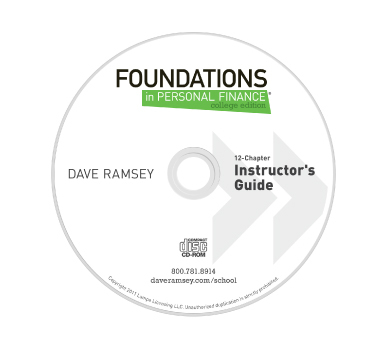 Ideal for use in Academic Affairs settings, a 12-chapter version of Foundations in Personal Finance is also available. Learn More. 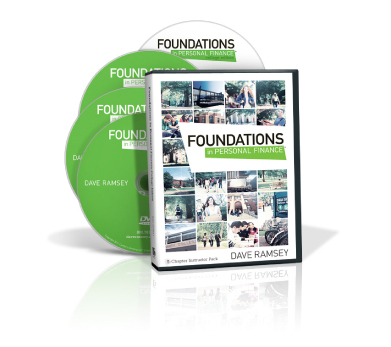 Video library featuring Dave Ramsey and his team of experts covering topics ranging from investments to insurance and marketing to budgeting. Each chapter averages 60+ minutes of video material divided into 10-20 minute segments. 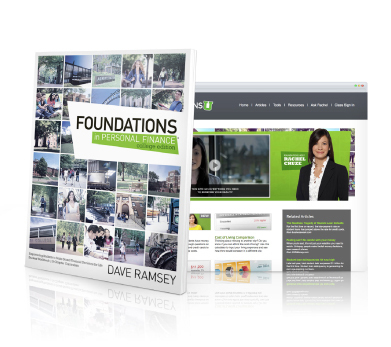 foundationsU.com, our blended-learning site, includes budgeting tools, investment and mortgage calculators, and Ask Dave Q&A podcasts. Student text includes financial forms, case studies, activities, group discussion questions and excerpts from Dave Ramsey’s New York Times best-seller The Total Money Makeover. Facilitator resources include sample lesson plans, sample syllabi, answer keys, chapter assessments, test banks, activities, case studies and discussion questions. 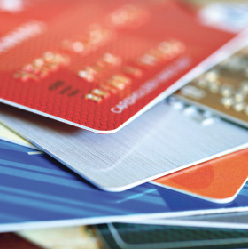 Explains the three reasons to save money: emergencies, large purchases, and wealth building. Evaluates emergencies that can happen during college and how to prepare for them. Provides instruction on designing and applying a zero-based budget based on students' income and expenses. Analyzes ways to earn money while attending college. Describes the critical reasons for avoiding debt and illustrates how to reduce debt by applying the debt snowball. Identifies possible majors and careers based on personality type and demonstrates how to apply for financial aid. Provides instruction on calculating tax withdrawals and completing tax forms. 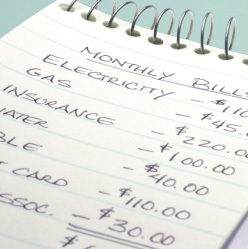 Evaluates different personality traits in relation to money management. Encourages healthy communication about money with parent, roommates and others. 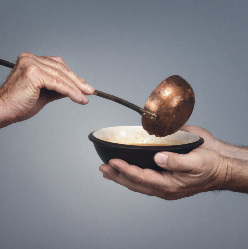 Discusses giving time and money to help others in need. To see how other institutions across the country are implementing Foundations in their Student Affairs groups, First Year Experience programs, and through Financial Aid offices, see the Foundations Case Studies.